And God Cried - Why Does God Permit Evil? 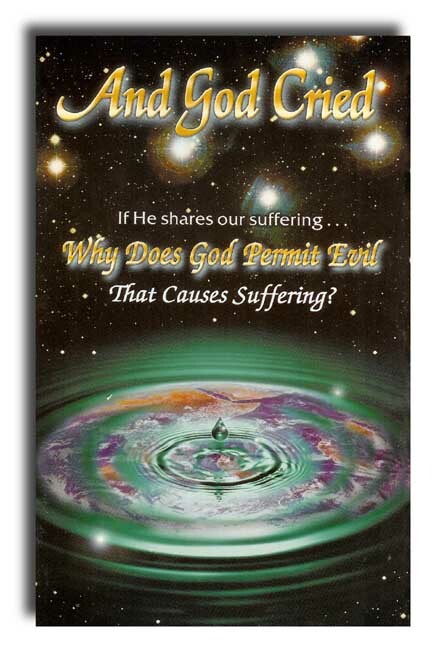 This booklet deals with God's reaction to sin and how he plans to deal with it. You will read the scriptures that reveal the true tenderness of God. As a loving Father He has compassion for the suffering of His children. You will also read some of the most recent scientific findings regarding the origins of the universe and the Bible’s authenticity. With all the religions in the world, how can we know which to believe? This booklet reveals why true Christianity is the genuine revelation of our Creator. Scientific references supplement the evidence for an intelligent creator. The second coming of Christ should be of interest to all Christians. But did you know that there is Biblical evidence that he is already invisibly present? The signs are all around us that he is assuming control of the world’s affairs. What exactly are Christians and what is their calling? Is Christianity self-centered or Christ-centered? These questions are explored as the Christian's future kingdom work is discussed. This phrase has often been used to protest the changing conditions of the world. 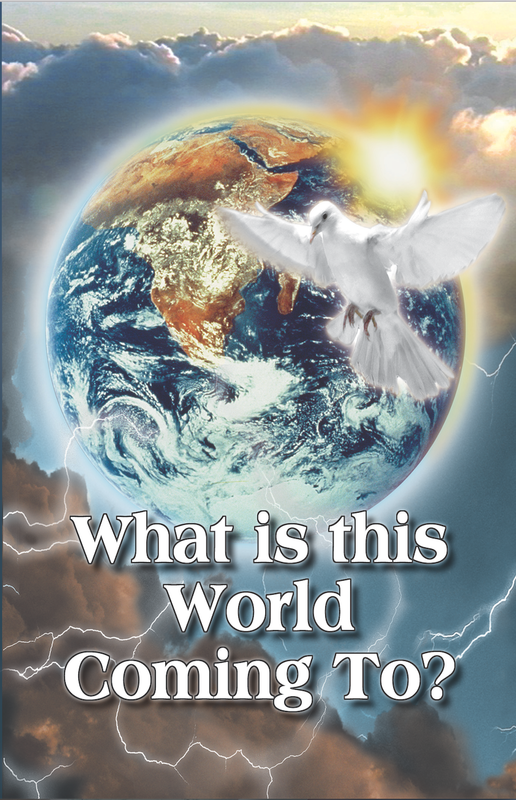 This booklet shows that the end of our evil day is near and will soon usher in a great time of blessing for the world. 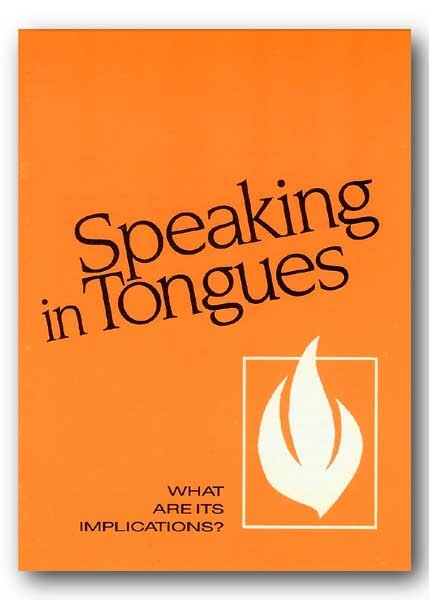 What do the Scriptures say about speaking in tongues? Is it really an evidence of God’s Spirit, or should the mature Christian seek a higher goal? 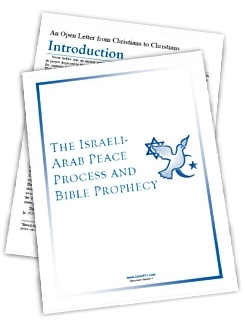 Those questions and more are explored in this booklet. The new born state of Israel was 70 years old in 2018. What a 70 years! 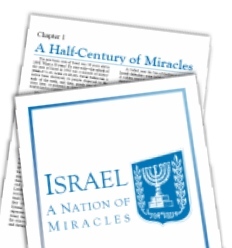 To start with—the rebirth of the state of Israel in 1948 was a miracle of history (Ezek.37:1-11; Luke 21:29,30). Never before has a nation been destroyed, its people dispersed to the ends of the earth, and then, nearly two thousand years later, re-gathered to their homeland and reestablished as a nation. Never before was an ancient nation destroyed, its people dispersed to the ends of the earth-and yet for centuries remain a separate and distinct people. Then, for that people to be regathered to its ancient homeland and re-established as a nation after nearly 2,000 years is a contradiction of time and logic. The rebirth of the Nation of Israel in 1948 was an unparalleled miracle of history.